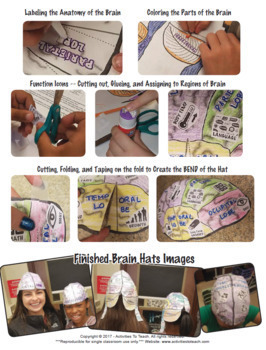 BUILD a BRAIN Hat is a fun and fully engaging hands-on activity where students apply their knowledge of the Anatomy of the Human Brain to create an actual hat they can wear on their head. 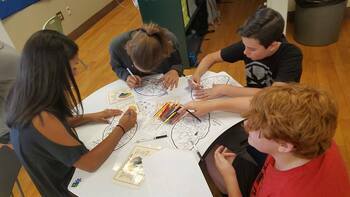 Activity can take from 1 to 4 classes (based on 45 min worktime window). 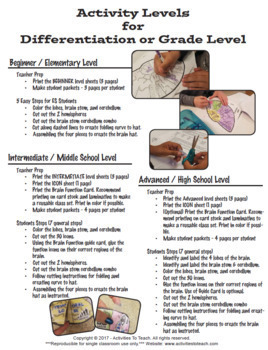 This packet includes 3 levels of creation for easy differentiation or various grade levels. Supplies need include coloring supplies, scissors, glue sticks and tape. 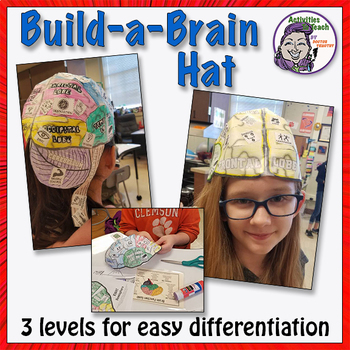 Each student will need a set of printables for their level (3 to 4 pages per hat). The full color Function Guide card is good to be printed on cardstock and laminated for repeat use.